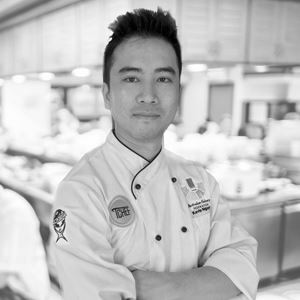 History: David has been working in kitchens for 15 years and his dream, like that of many young Chefs, is to one day have a restaurant of his own focusing on simplicity and quality produce. 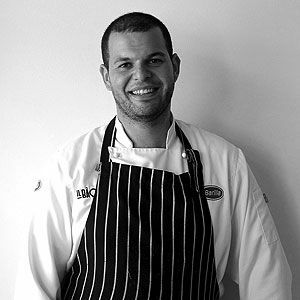 Throughout his career as a Chef, David has had many mentors: Jason Jujnovich of Divido, Ricardo Mommeso of Sarti, Maurice Esposito of Esposito’s and Saint Peters, and of course his mother Nicolina, whom David started watching and helping in the kitchen at the age of four. 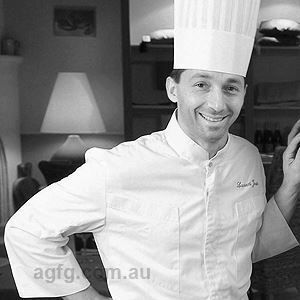 At the age of 24, David took charge as Head Chef at highly acclaimed Italian restaurant, Il Bacaro in Melbourne. David has taken many trips to Italy to understand the produce, style and wellbeing of modern Italian cuisine. He has dined in many acclaimed Michelin starred restaurants, and has also been fortunate to do a daily stage at Piazza Duomo (1 Michelin star) in Alba, Italy, renowned for the white Alba truffle. David also hand selects the highly prized white Alba truffle annually for Il Bacaro’s truffle menu. David is a strong believer in enjoying what you do and doing it with pride, passion and a sense of fun; otherwise, he doesn't see the point. "People rarely succeed unless they are having fun in what they are doing," he explains. Have you always wanted to be a Chef? I always knew I wanted to be a chef. At a young age, I used to always help mum roll pasta, make the tomato sauce, and make the salami. 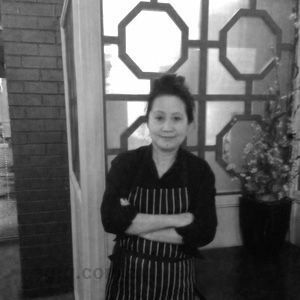 I knew from then that I wanted to be a chef, and more than 20 years on, the feelings are still the same. How would you define your style? Simple flavours, quality ingredients and a little creative twist. What is your feature flavour these days? Forum vinegars – the perfect balance of sweetness and acidity. Your greatest culinary inspirations/influences: White truffles, Heston Blumenthal, Wylie Dufresne and Adriano Zumbo. What do you love about this business? The passion, the adrenalin, and the feeling you get when people leave happy after a meal. An ingredient you can’t live without? Extra virgin olive oil. Most ‘eyebrow raising’ menu item? Peanut butter and marshmallow chocolate bomba with salted caramel and banana ice cream. Translated as ‘God of wine’, Il Bacaro is the epitome of Venetian style in the heart of Melbourne. First opened in 1995, Il Bacaro is certainly no stranger to acclaim and continues to impress diners and critics alike. A long, horseshoe-shaped bar and intimate, low-lit dining room exude timeless Italian inspired style; polished hardwood floors, rich leather banquette seating and a Venetian air of allure are exquisitely inviting, while sophisticated but subtle service makes for longer lunches and decadent dinners. 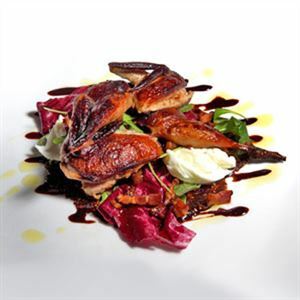 Sample contemporary Italian classics such as calamari St Andrea – shallow fried calamari, rocket and balsamic dressing; or perhaps pappardelle with goat ragu, flat beans and porcini cured mozzarella, finished with chocolate mousse, white chocolate parfait and strawberries.